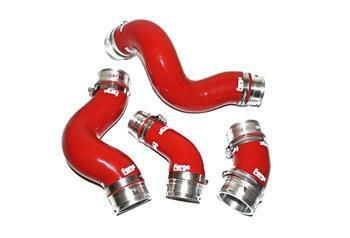 Forge Motorsport Silicone Intercooler Hoses come complete with the highest quality stainless clamps. These hoses will withstand greater temperatures and pressures compared with the OEM hoses and they look fantastic. These hoses replace the OEM intercooler hoses with perfectly crafted replacements that will last for years to come.